Goosebumps in the ceramics aisle and chest bumps in the parking lot — they’re both part of a humorous and engaging new campaign from Goodwill and the Ad Council. The creative featured in the new Bring Good HomeSM PSA campaign turns local Goodwill store shoppers into the toast of their towns while demonstrating how small purchases can have an outsized impact on local communities. The new PSA, created pro bono by global advertising and marketing agency Digitas, is a key element of Bring Good Home, a national campaign designed to inspire more Americans to shop at Goodwill and support its core mission. For Goodwill, the goal of the campaign is to reach young shoppers in a competitive retail environment through a witty, tongue-in-cheek message designed to resonate across multiple mediums. It also works to raise awareness about how Goodwill’s network of 161 community-based organizations are more than just retail stores — they also collectively prepare nearly 300,000 people each year for new jobs and career advancement. Eighty-seven cents out of every dollar goes directly back into Goodwill programs and services, including job placement and training, and holistic services such as youth mentoring, financial education, child care and transportation. Goodwill organizations offer specific programs benefiting youth and young adults, older workers, veterans and military family members, people transitioning back into society, and people transferring to a new field or industry after a long period of time, just to name a few. Each local Goodwill organization is the expert in what its community members need to find jobs and advance their careers in their local economies. One such example is Marcus Wilhite, a Marine Corps veteran who participated in a program with Southern Oregon Goodwill (Medford) that helps military veterans transition back into the civilian workforce. That program helped Marcus identify how the skills and work ethic he’d developed in the military could be adapted for new employers, quickly leading to his landing a full-time position. Marcus is one of millions of Goodwill success stories that have been made possible thanks to the help of Goodwill shoppers. The Bring Good Home campaign is designed to raise awareness around that point: when you shop at your local Goodwill store, you’re helping real people in your own community, and giving your whole town or neighborhood a reason to celebrate. Bring Good Home is built around three marketing tactics that every organization should take advantage of. See how we leveraged the power and reach of social media to create an impactful advertising campaign! Our team enlisted influencers, including decorator and lifestyle expert Mary Elizabeth Darling, creator and tastemaker Kristin Johns, and YouTuber Emily Wass, among others, to sign on and support the campaign by creating their own Bring Good Home content, whether it was a YouTube thrift haul video or showing off their new finds using the hashtag #BringGoodHome. Creators also used National Thrift Shop Day (August 17) to start the buzz and dialogue around the campaign, and they were given supporting talking points to translate into their own words to resonate with their fans and followers. In turn, local Goodwill organizations enlisted creators in their areas to tweet and support the campaign using the hashtag. We reached out to real people who were already sharing their love of Goodwill finds on their Instagram pages to ask them to submit photos of themselves with their favorite clothing items, home goods and more. Those photos were then used as part of our print ads to demonstrate the authenticity of thrift shoppers who love a good find at Goodwill. 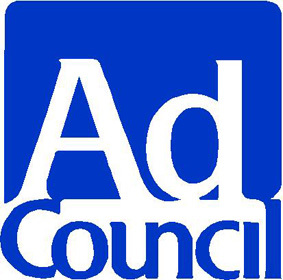 Additionally, with the help of the Ad Council, our team established various partnerships to create a series of specific content and elements to boost the campaign. Social Native, an organization that connects brands with epic content creators to create authentic and compelling branded content, donated $5 (up to $5,000) every time content about #BringGoodHome was shared to support Goodwill’s mission. All these steps were designed to show shoppers that every little purchase can make a real difference in their community. Yes, even that cute kitten-faced teapot. The post What You Never Knew About Goodwill and How You Can Harness the Power of Social Media for Your Brand appeared first on AdLibbing.org.